We also have the G3 available in a Soft Cup version. 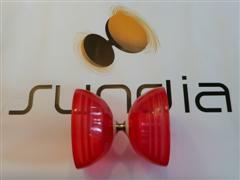 This is the revolutionary diabolo design from Sundia featuring a patented Stability RingTM and Hybrid AxleTM. 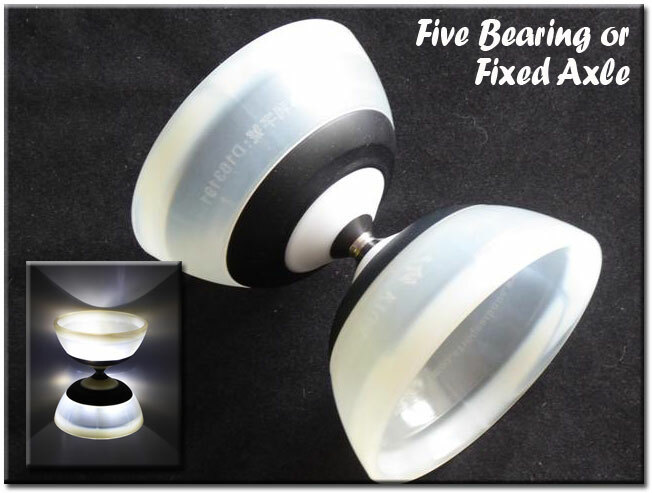 The Evo series have been radically re-designed to increase the centrifugal force of the spinning diabolo, and give much better weight distribution. The result is incredible stability and unsurpassed spin - it''s lightweight for its size but offers superb feedback and feel as it has the stability and spin of much heavier diabolos. The inclusion of Sundia''s new hybrid ''Competition AxleTM'' makes this an incredible bit of kit. The Hybrid Axle is a combination of a durable central spindle with lightweight teflon coated aluminum sides to reduce string friction. This not only reduces the central weight but also allow for multiple wraps with far less chance of the string gripping causing a wrap-up (2, 3, even 4 wraps are no problem). We also now offer this diabolo with the narrow axle type fitted instead. This version weighs a few grams more and has super slippy textured hubs so the string falls straight to the central axle without causing tilting. The G3 Model is very slightly bigger than the G2 and feature transparent cups made from the same material as the shining diabolos with slightly more weight emphasis at the rim for better low speed stability. The transparent cup colours show up really well with Sundia''s LED lights fitted. Once again the outer cup surface has been specially ''blasted'' to give it a matt finish which reduces friction from the sticks and string making corrections easier. Ability - All levels - Due to the low weight and high stability this diabolo is perfect for all ages and ability levels from kids right through to professional performers. Please choose which axle type you would like to receive.